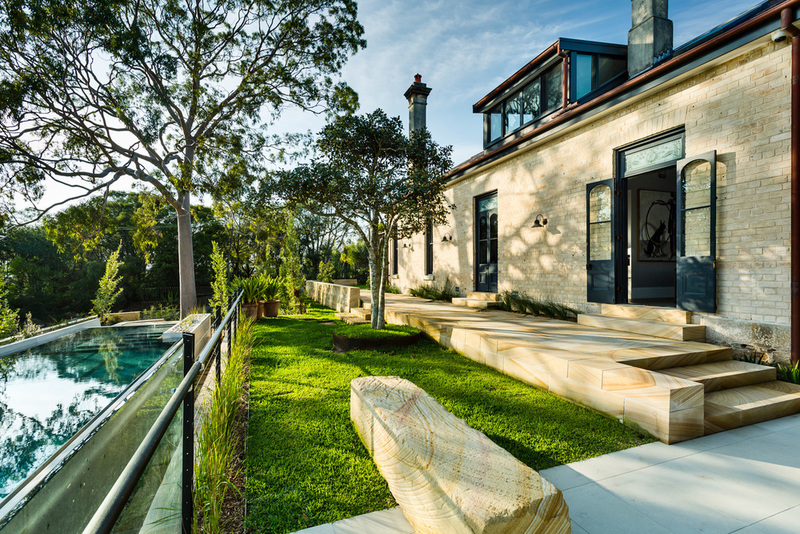 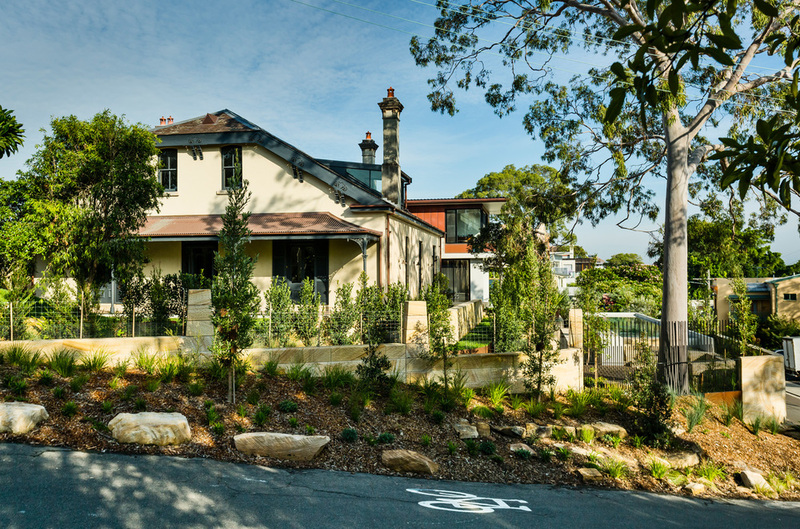 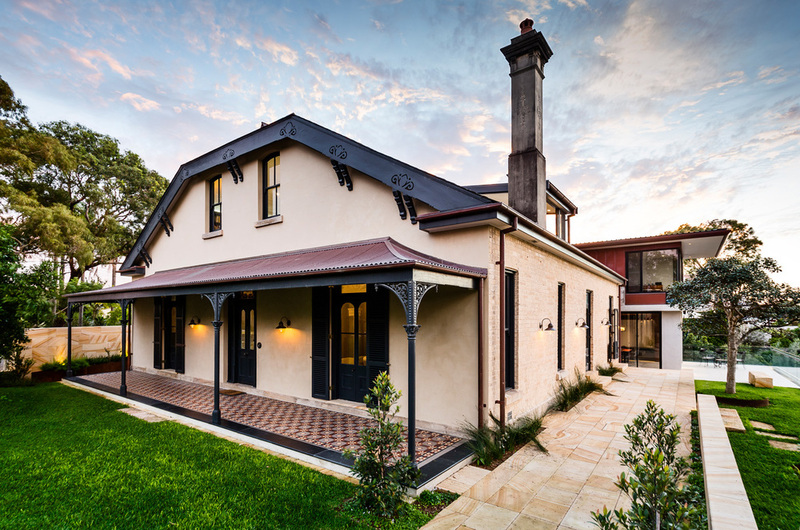 Located at the tip of Ballast Point Birchgrove with enviable water, park & city views, this project incorporated a complete restoration of ‘Lerna’, a grand heritage listed brick and slate roofed residence, along with construction of 2 new contemporary pavillions connected via a steel & glass link to the rear. 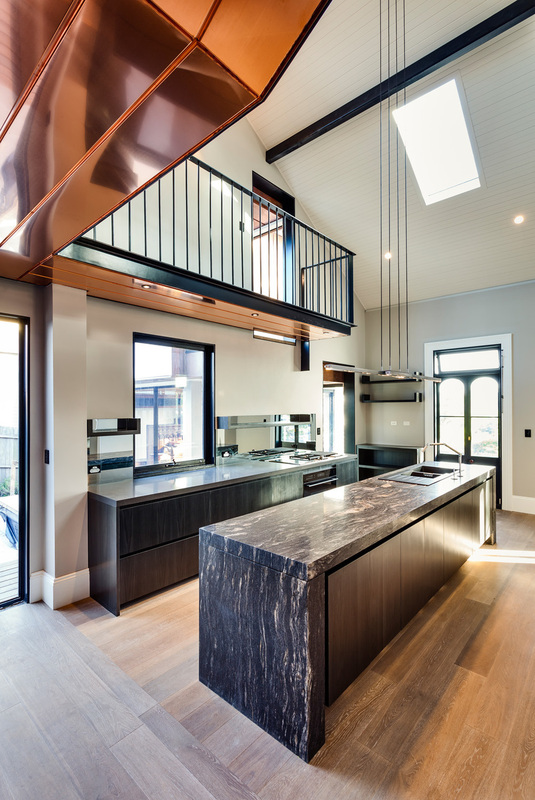 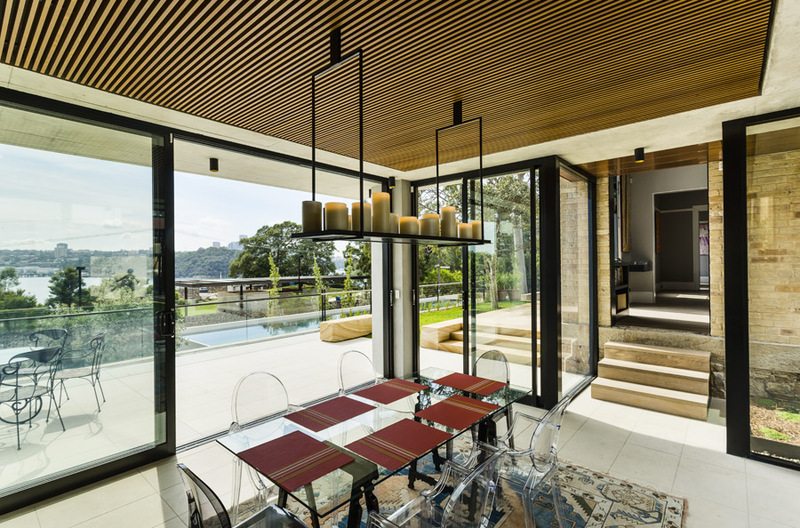 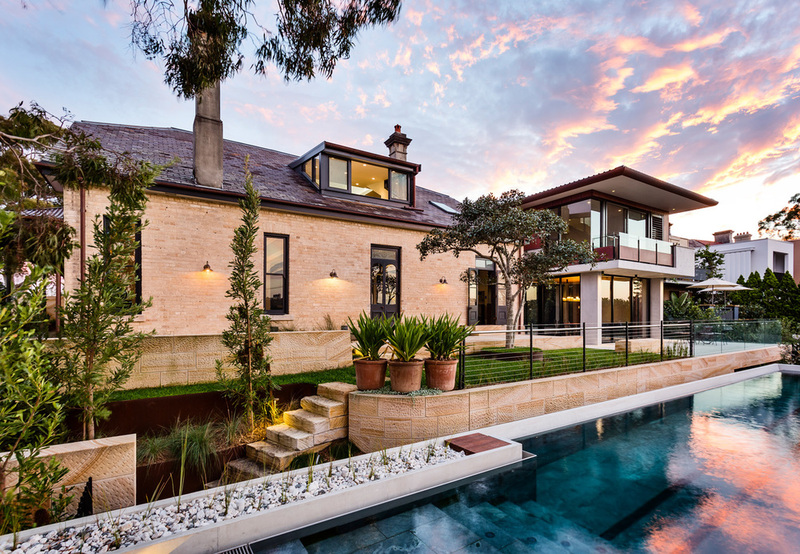 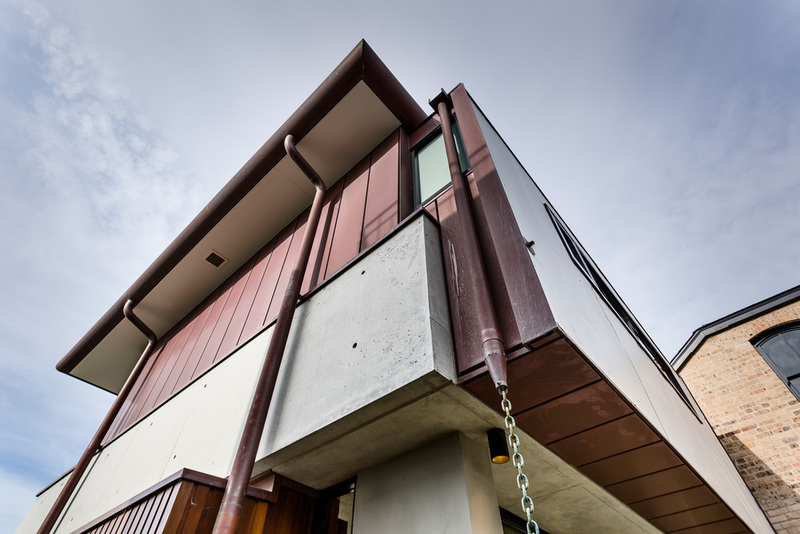 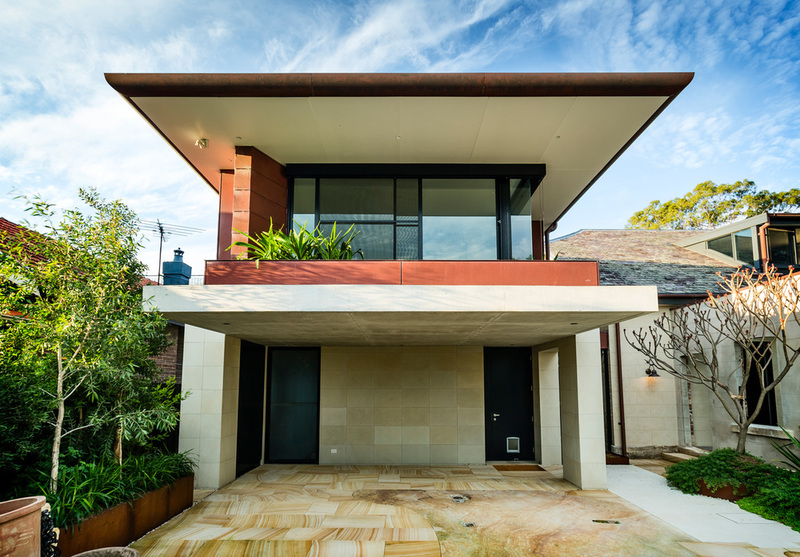 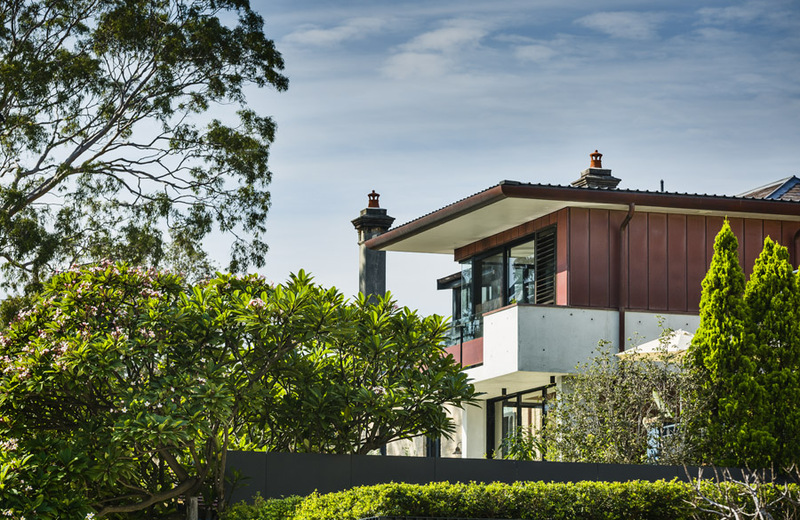 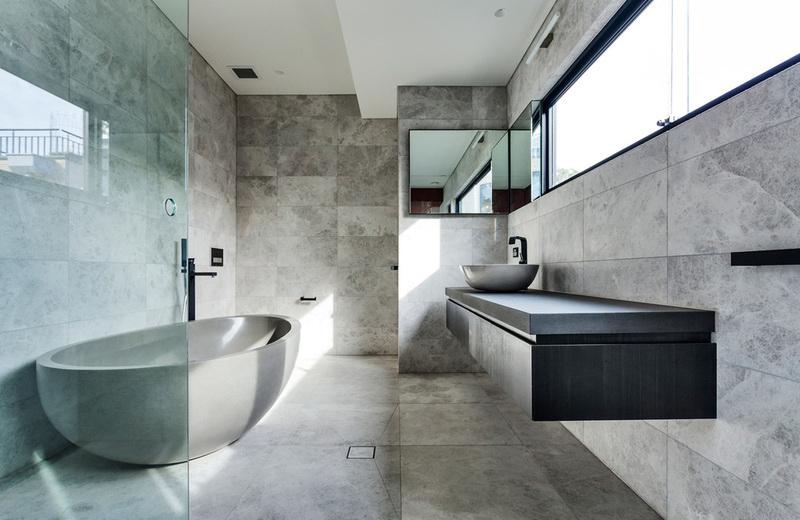 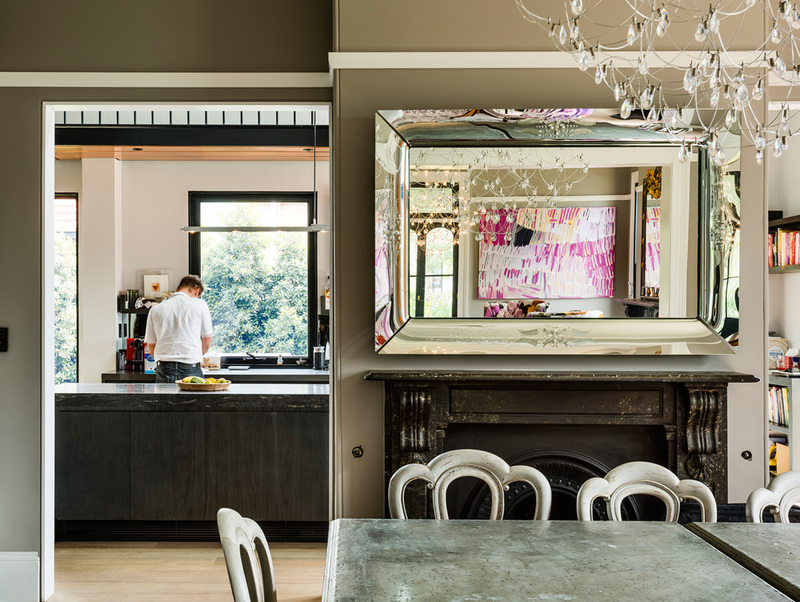 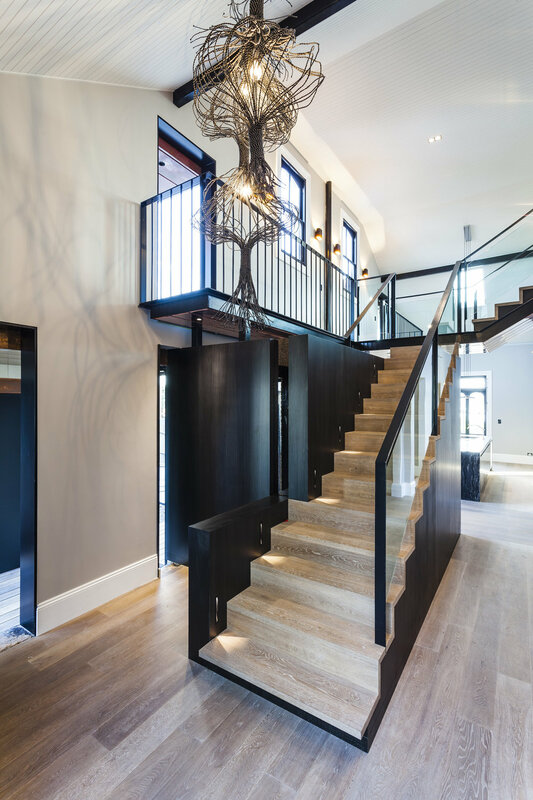 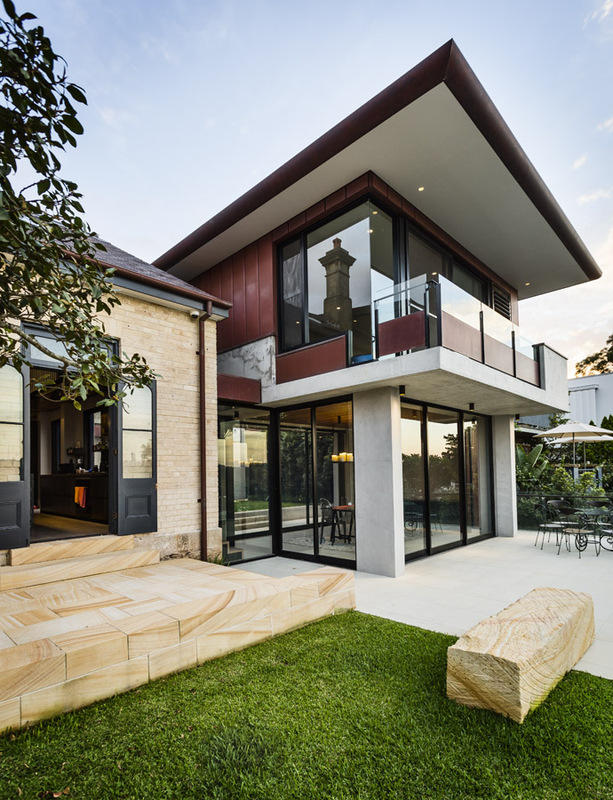 The beautiful home is a benchmark residence in the area and showcases expressed steel, glass, off-form concrete, copper, and other natural materials. 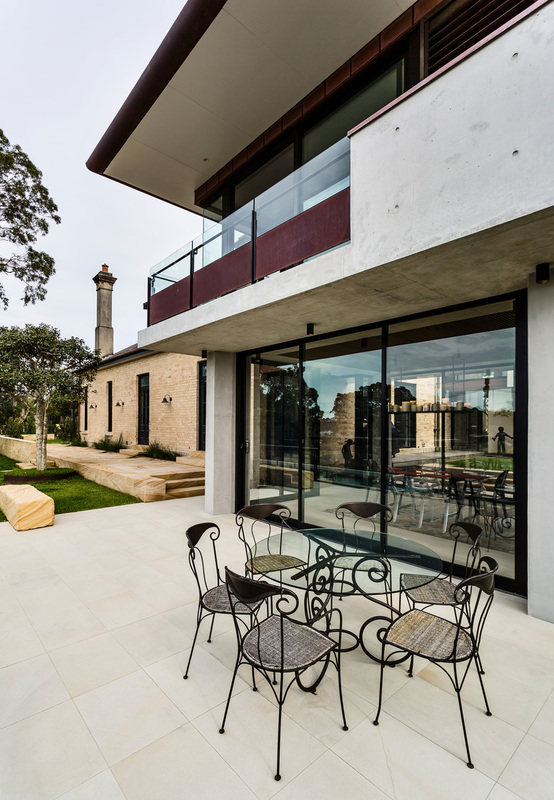 The vast grounds have been given an overhaul with a new 25metre lap pool, green walls pinned off the new pavillions, sandstone retaining walls, off form concrete structures and extensive soft landscaping across the site.